Winning an NBA championship isn’t just about X’s and O’s; it also involves top-notch roster management, solid scouting, and an excellent culture around the team. Ernie Grunfeld led the Wizards basketball operations for 16 (mostly underwhelming) years before being let go at the end of the 2018-19 season. As we sit here and look back on his hits (John Wall, Bradley Beale) and misses (Kelly Oubre Jr.), we should also examine the other NBA executives who’ve been around the league for more than a decade. We are going to focus on the updated list of the longest-tenured NBA executives in GM or president positions. Presti has not only seen the team relocate, but he has also managed several superstars during his time between the two cities. He drafted Kevin Durant after the Trailblazers gift wrapped him by selecting Greg Oden No. 1 overall, and he also drafted Russell Westbrook and James Harden. For an executive to find three MVPs in a short time period is astounding. That’s one reason Presti has hung around long enough to become one of the NBA executives with the most seniority. He also acquired potentially his fourth MVP by trading for Paul George two seasons ago. 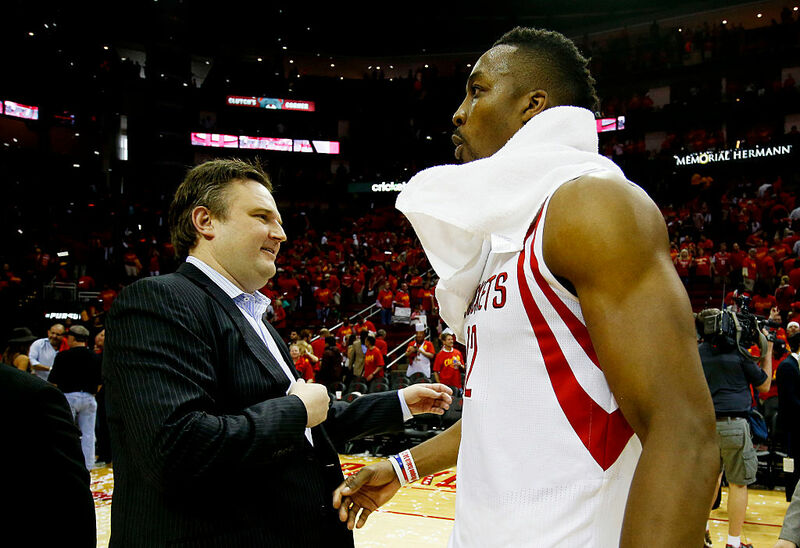 When Morey arrived in Houston, he boasted a lot of analytical data to construct his rosters. He made a franchise-changing deal for James Harden, one of the games most prolific scorers (and front-runner for MVP this season). The Rockets were arguably a Chris Paul injury from dethroning the Warriors last season, and fans can only hope to see a rematch of the Western Conference finals again. Donn Nelson is the son of Don Nelson, one of the best coaches the league has seen, and he’s also one of the longest-tenured NBA executives. He has helped the Mavericks pick up championship banners during his time in Dallas. On his watch, Dirk Nowitzki, Jason Kidd, and now Luka Doncic put up MVP-caliber seasons. The Mavs also traded for Kristaps Porzingis, and if they resign him to a long term deal, then it could be the steal of the NBA season. Dallas has a bright future ahead of them with Nelson in charge. First, he was a standout player for the franchise. Now, Danny Ainge is one of the most respected and longest-tenured NBA executives around. Ainge has seen his share of winning and losing in Boston. Creating the Celtics Big Three (Ray Allen, Kevin Garnett, and Paul Pierce) brought the city a championship, and trading away two of them (Garnett and Pierce) for a treasure trove of riches from the Nets has given them an excellent young core as they fight for more championships. He is an excellent scout and a better wheeler and dealer around the trade deadline, and he could turn a few of those young pieces into Anthony Davis when the offseason officially starts on July 1. R.C. Buford was appointed GM of the Spurs in 2002 and has worked alongside coach Gregg Popovich to build a consistent contender in San Antonio. He has been instrumental in the team’s success and can work the salary cap better than any other GM in the league. Riley is a Hall of Fame coach, but he is arguably a better personnel decision maker. He helped recruit LeBron James and Chris Bosh to Miami to join Dwyane Wade, and he has won three championships since joining the team. 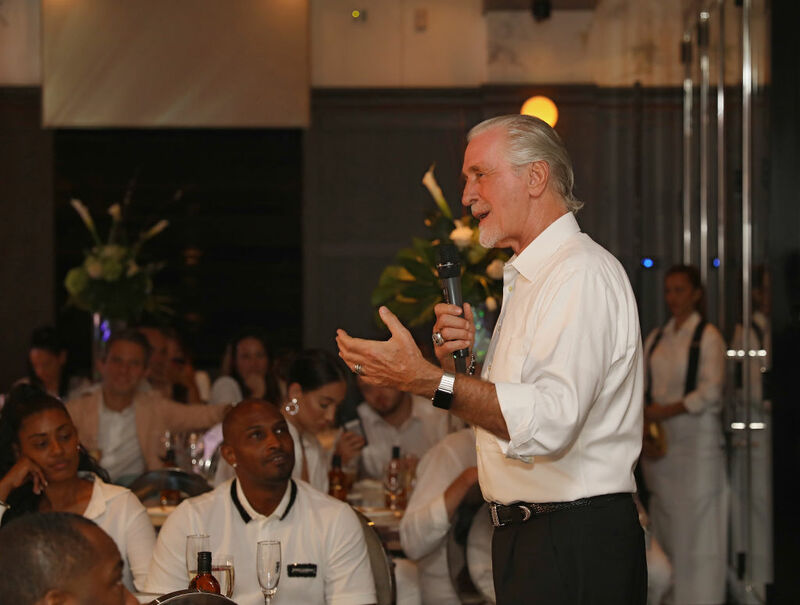 A chance to make a splash in free agency is never a problem for Riley, who has the championship pedigree to win any conversation. Popovich has been the coach and president of the team since arriving in San Antonio, and all he has done is win five NBA championships and built a streak of 18 consecutive 50-win seasons. The list of Spurs waiting to enter the Hall of Fame is long and worthy, and Popovich is at the center of everything. He coached MVPs in David Robinson and Tim Duncan, while also having a hand in drafting the little-known (at the time) players Manu Ginobili and Tony Parker. The Spurs are back in the playoffs in 2019, and Popovich is the main reason why.